This entry was posted in Alberta Birds, Birding, Blogging, Digiscoping, General Birding, Nature, Photography, Spring, Spring Migration and tagged Birds, Digiscoping, WBW, White-crowned Sparrow, Wild Bird Wednesday. Bookmark the permalink. I’ll have to check out WBW. Wednesdays is for the birds I guess. Oh wait. It is the same as Paying Ready attention. Scratch that thought. I haven’t been paying attention I guess. 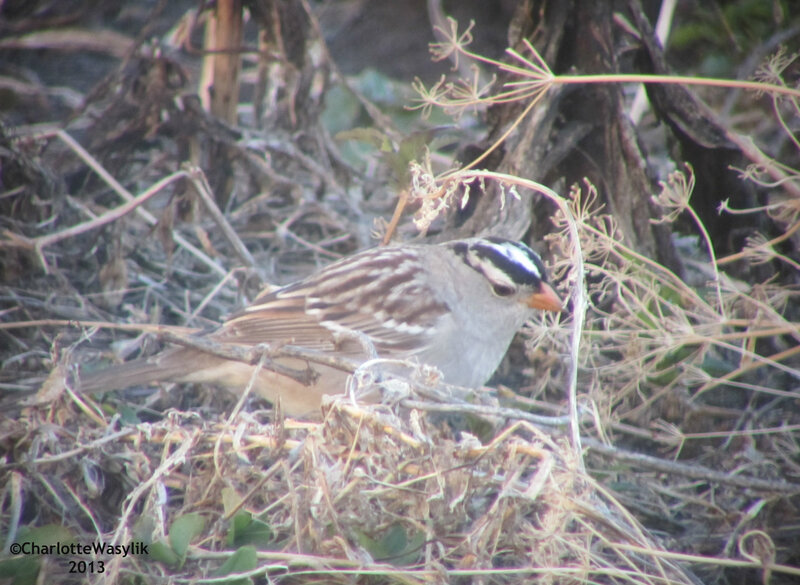 The White-crowned Sparrow is an interesting bird to study if one travels around. I have come across at least 2/3 different songs. The birds singing in the Cypress Hills are quite different from the song one might hear up here in Northern AB. Nice job on digiscoping this beautiful sparrow! I love their song! Your post is perfect for WBW! That is an AWESOME picture. AWESOME job.